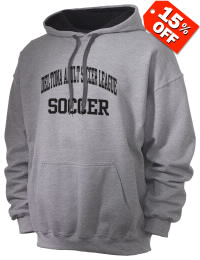 DELTONA ADULT SOCCER LEAGUE, INC is a 501(c) Non-Profit Org. 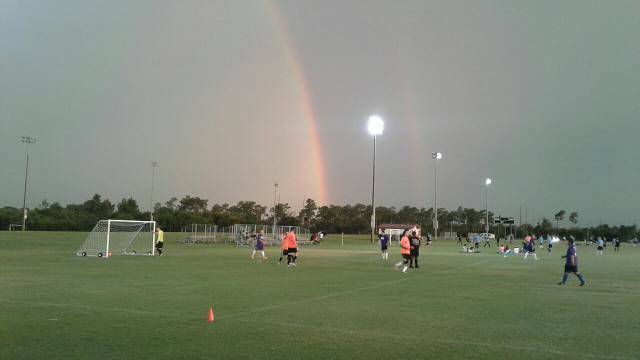 AND THE PREMIER OUTDOOR 6V6 SOCCER LEAGUE IN FLORIDA. DASL has partnered with the City of Deltona along with our local Florida Cancer Specialists offices to provide our low cost adult six a side soccer program. DASL is for all ages from 18 to 100 years old and both genders. Adults play 6 V 6 soccer games in our Winter season (Jan/Feb) and Summer season (June/July) to continue enjoying the sport they love at a recreational level. DASL teams play an 8 game season, 1 game a week for 8 weeks. Teams accumulate points for games where they win, tie or shutout the other team. After 7 games, the top 2 teams with the most points play the championship game for the division there in. All other teams play an 8th game (3rd place vs 4th place and so on). DASL supplies all teams with different colored shirts, so each paid player will get a shirt for the team they are on. FEES are $70.00 per player online or at registration using a credit/debit card. You get a $5.00 discount if you pay by cash or check at the fields registration time. REGISTRATION DAY AND DEADLINE TO ENTER A TEAM FOR THIS SUMMER SEASON 2019 IS MAY 29TH FROM 6PM TO 9PM. THIS IS ALSO OUR FREE PICKUP GAME NIGHT, SO NEW TEAMS AND PLAYERS CAN SEE THE SIZE OF FIELDS WE PLAY ON. TO REGISTER A TEAM: EMAIL US A TEAM NAME AT "DELTONA6V6@CFL.RR.COM" AND GET 2 OR MORE PLAYERS SIGNED UP BY PAYING THEIR FEE BEFORE TEAM DEADLINE. OR COME IN PERSON TO REGISTRATION DAY. THEN YOUR TEAM WILL BE SCHEDULED TO PLAY THE FIRST WEEK. INDIVIDUALS THAT DON'T HAVE A TEAM, CALL CHARLIE 386-748-5508 AND WE WILL GET YOU ON A TEAM. We are here to bring all the soccer players together in the Central Florida area. You can click on the informational tabs above for each division and see teams assigned with the divisional requirements. Check out the "FORMS" tabs to download our Match 6v6 Laws/Rules and you can read our Registration Form. NO need for you to fill out the registration form and bring to registration, we have them on hand when you come to registration and our staff will copy your drivers license or passport onto it and do the notary part for you. YOU CAN CLICK ON THE TWITTER LOGO BELOW AND START FOLLOWING Charlie6v6 TO GET FIRST NOTICES OF CANCELLED GAMES OR SIGNUPS. CLICK ON THE FACEBOOK LOGO BELOW AND GO LIKE OUR PAGE. CLICK ON THE RIGHT ARROW VIDEO TAB BELOW TO SEE VIDEO OF OUR GAMES. AND YOU CAN JOIN OUR EMAIL LIST TO STAY UP TO DATE WITH OUR LEAGUE AND OTHER SOCCER EVENTS BY USING THE "Subscribe to our Newsletter" button in the top right of this page, just below the "Login" button.